UPDATE: Officers express support for City Council candidate while admitting record problems at Saturday membership meeting. The Portland chapter of the NAACP has an ambitious agenda for the rest of the year. Goals discussed at the annual membership meeting on Saturday include passing the Portland Clean Energy Fund measure at the November general election, defeating the proposed repeal of Oregon's sanctuary law on the same statewide ballot, creating a strategic plan to fight discrimination with other civil rights organizations in the region, and responding to what it saw as police violence against counter-demonstrators at the downtown Patriot Prayer rally on Aug. 4. "We have much to fight for," Rev. E.D. Mondaine, the chapter president, told the three dozen people at the meeting in the organization's offices in the Lloyd Center. But the chapter must also complete filing late financial and tax documents covering the previous three years when Jo Ann Hardesty was president. Those not filed on time include both federal and state tax returns for 2015, 2016 and 2017, as well as financial statements to the national NAACP organization for the same years. Treasurer Jeff Strang said the chapter must pay $900 in late fees, and owes the national organization around $5,000 as its unpaid share of local fundraising revenues. This is not the first time that filing issues have surfaced concerning Hardesty. A well known civil rights activist, she is running for the City Council to succeed Commissioner Dan Saltzman at the Nov. 6 general election. Hardesty was recently criticized by her opponent, Multnomah County Commissioner Loretta Smith, for not registering her consulting business with the Oregon Secretary of State's Office for the past 17 years. Hardesty apologized to her supporters online, saying it was a mistake commonly made by small business owners. She released partial tax returns for 2015, 2016 and 2017 to prove she paid self-employment taxes. Neither Mondaine or Strang blamed Hardesty for the chapter's problems, however, saying they were caused by high turnover of previous board secretaries and treasurers. Mondaine credited Hardesty with building up the chapter over the past three years, while Strang said no money was unaccounted for. And businessman James Posey, the chapter's economic development committee chair, praised her, too. "Don't let anyone say Jo Ann didn't do a good job," said Posey, who has endorsed her. Hardesty declined to respond to questions from Portland Tribune about the chapter's problem. But one of them affects her personally. According to Strang, she was not told to report a $300-a-month stipend approved by the board in 2016 as income to the Internal Revenue Service and the Oregon Department of Revenue, as required by law. Hardesty received $3,300 in 2016 and $3,600 in 2017 from the chapter. Hardesty stepped down as chapter president in February after some questioned whether she could hold the office while running for the council. Mondaine said that after he succeeded her, he soon realized the financial records were incomplete, prompting him to hired a bookkeeper and recruited Strang, a longtime chapter member, as treasurer to help straighten things out. Among other things, they discovered the chapter had not filed required 990 forms documenting income and expenses with the IRS for the last three years. And it had not filed required CT-12 forms with the Charitable Activities section of the Oregon Department of Justice, either. Nor had the chapter filed annual reports with the national organization, or paid the 25 percent of fundraising revenues it is entitled to. In fact, the Portland chapter was not incorporated for part of the time Hardesty was president. Its previous incorporation had lapsed in 2010. 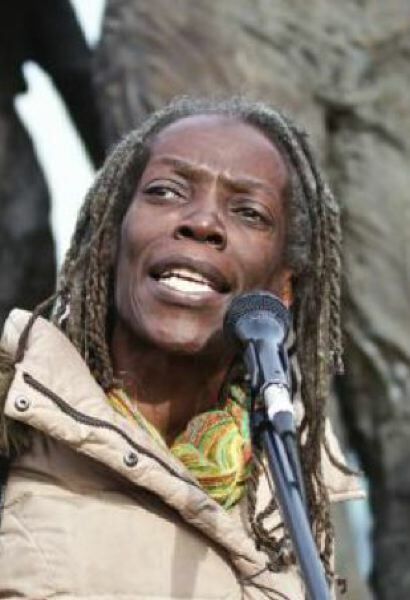 After Hardesty became president, she incorporated it as NAACP Portland Chapter 1120B in February 2015. But it was administratively dissolved for lack of renewal in April 2016. All of those shortcoming are now being addressed, Mondaine and Strang said. The state articles of incorporation have been amended and renewed, the Oregon department of justice registration has been renewed, the past-due 990 forms have been submitted, and the CT-12 form were mailed in last Friday. But an Assessment of Recordkkeeping dated July 3 from bookkeeper Sheila Randall lists a number of issues still to be resolved. Among them is a lack of documentation for both spending from the petty fund account and per diem payments Hardesty received. "Retention of records should be in a centralized area so that they are easily located when needed. I recommend the Board install operating procedures," the assessment says. According to Strang, despite any outstanding issues, the chapter is in good financial shape. The CT-12 forms show the chapter had total revenues of $12,362 in 2015, $33,252 in 2016 and $48,304 in 2017. It currently has $60,000 in three checking accounts, he told the Portland Tribune. To read a previous Portland Tribune story on the issue, go to tinyurl.com/ycv92d9v.